Every time a fantasy trilogy wraps up, we bake a cake in the Black Gate offices. 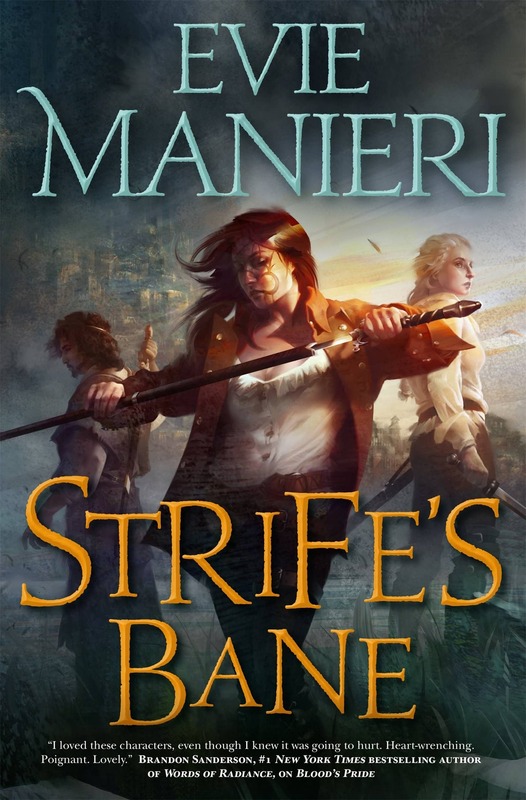 Evie Manieri’s The Shattered Kingdoms trilogy ends this month with Strife’s Bane, published in hardcover last week, four years after the last volume appeared. 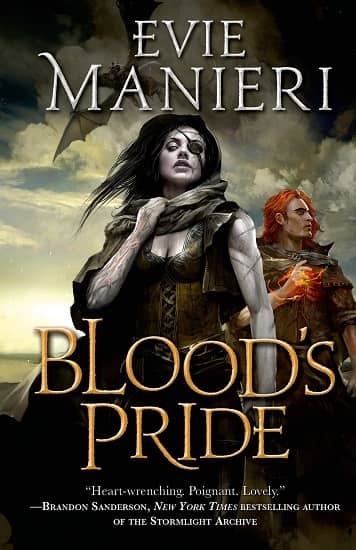 The series opened with Manieri’s debut novel Blood’s Pride (2013), the tale of a secret rebellion against telepathic warriors twenty years after they enslaved a nation, and continued with Fortune’s Blight (2015). 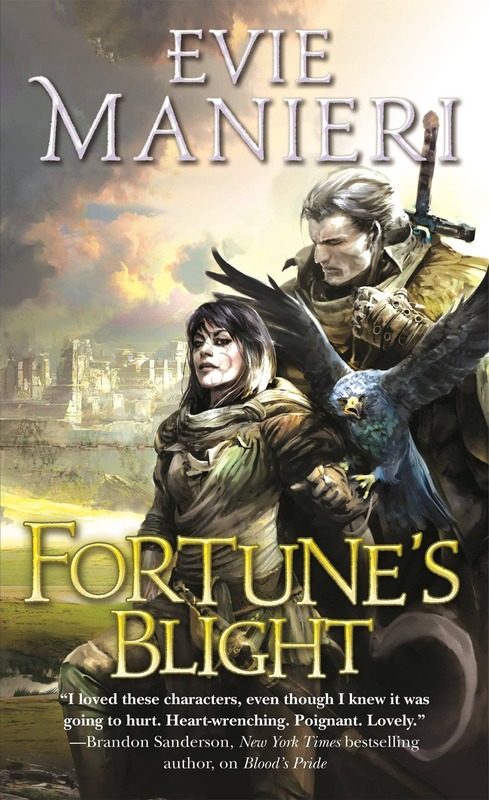 Although it’s received praise from multiple quarters — Publishers Weekly says “The suspense, character development, and worldbuilding are all superior,” and Sharon Shinn called the opening novel “A fast-paced tale of honor and betrayal, hope and despair, secrets, revelations, and a whisper of divine magic”– the series has flown under the radar for many readers. Fortune’s Blight has only two reviews on Amazon, and (so far) Strife’s Bane has none at all — and has an Amazon Sales Rank of 932,782 a week after publication, not a promising sign. 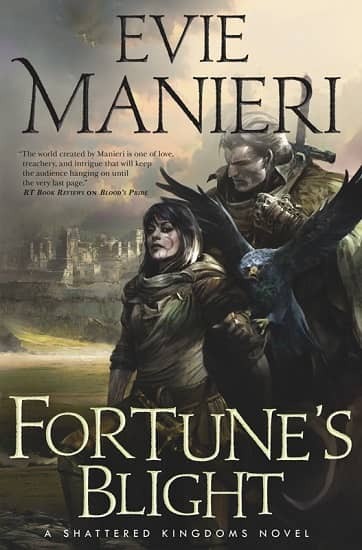 I know there’s a popular trend (certainly among Black Gate readers, anyway) to stay clear of epic fantasy series until they’ve successfully completed. I hope that now that The Shattered Kingdoms has wrapped up, it will spur some fresh interest in the trilogy. Unlike many writers afflicted with late-series bloat, Manieri has kept her series lean. The first book in fact was by far the longest (528 pages); the second came in at 377, and Strife’s Bane weighs in at a trim 317. Here’s the description for the final book. Once known as the Mongrel, Lahlil had only one purpose then: to reap blood and carnage for those who paid the right price. And though the ravages of past wars haunted her every waking moment, when Lahlil was called upon to lead the rebellion against Norlanders―telepathic and bloodthirsty invaders who conquered Shadari lands and enslaved their people to the mines ― she delivered. We covered Blood’s Pride here, and Fortune’s Blight here. Here’s the publishing deets for all three books. See all our recent coverage of the best new fantasy series here.